A 54 yo male with mild progressive headache. 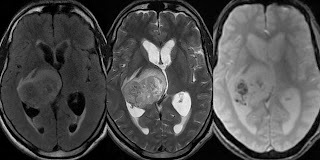 A heterogeneously enhancing neoplastic soft tissue density space occupying lesion centered to right thalamus. 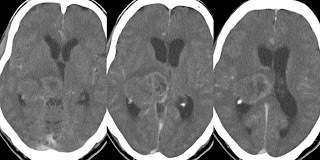 Areas of necrosis, hemosiderin staining on T2*GRE, perilesional odema. Third ventricle compressed with mild trapping of lateral ventricles. 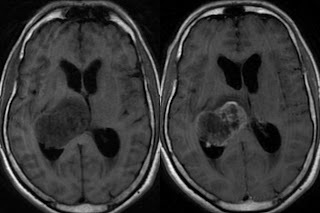 Steriotactic Biopsy and Histopathology : Grade IV Astrocytoma.